A new look for each day, great for undercover espionages, and simply fun! 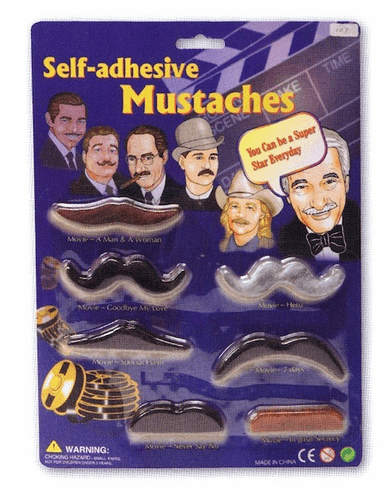 Includes 7 different styles of mustaches. Adhesive back for easy applying and reapplying.